Count down 'til Christmas! 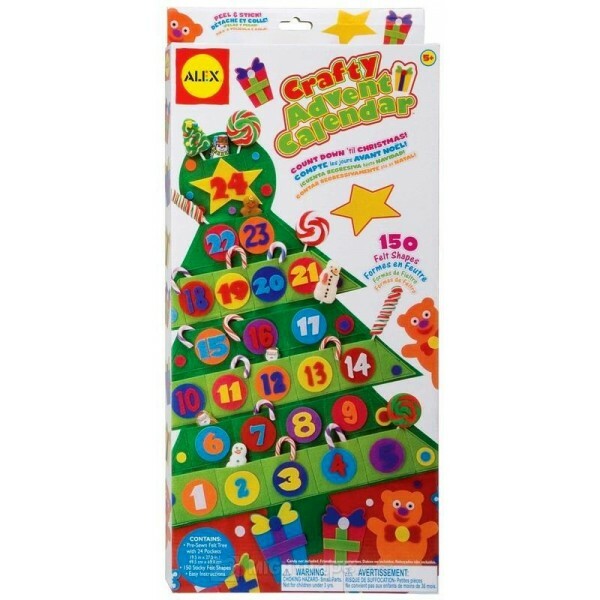 Make a festive advent calendar with 150 precut felt shapes. Just peel and stick! Fill presewn pockets with treats. Calendar measures 19.5"W x 27.75"H (49.5cm x 70.5cm). For more advent calendars, visit our Seasonal section.